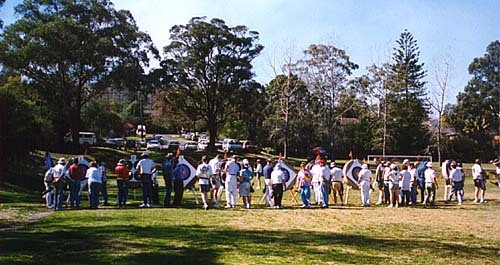 Every Sunday for over 30 years Ku-Ring-Gai Bowmen has been engaged in the sport of archery at Edenborough Park in Lindfield. We offer excellent facilities and ground, comprehensive beginners courses, and a friendly social atmosphere. This website tells our story, provides information about archery, and contains resources for beginners and members.